Thredbo-Perisher area is your gateway to Mount Kosciuszko. Find NSW's favourite ski resorts, top alpine hikes, mountain bike trails, and endless adventures in the Snowy Mountains. In winter, ski or snowboard the slopes at Thredbo, Perisher or Charlotte Pass. 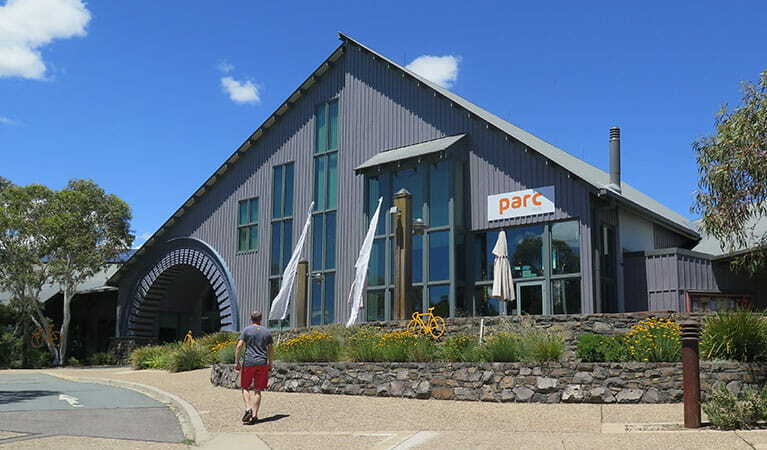 Perisher is the largest ski resort in the Southern Hemisphere. 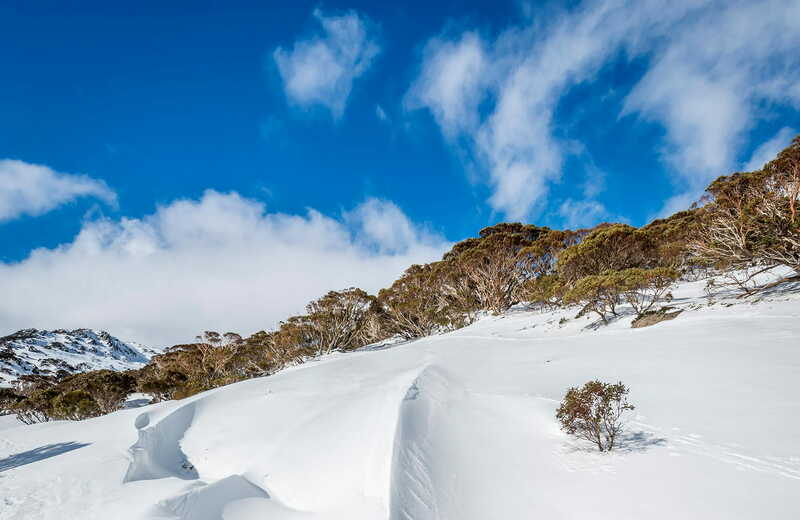 Try cross country skiing or snowshoe the pristine trails amongst twisted snow gums. As the snow melts you'll discover a walker's paradise. Tracks range from short riverside strolls and moderate day walks, to multi-day hikes. 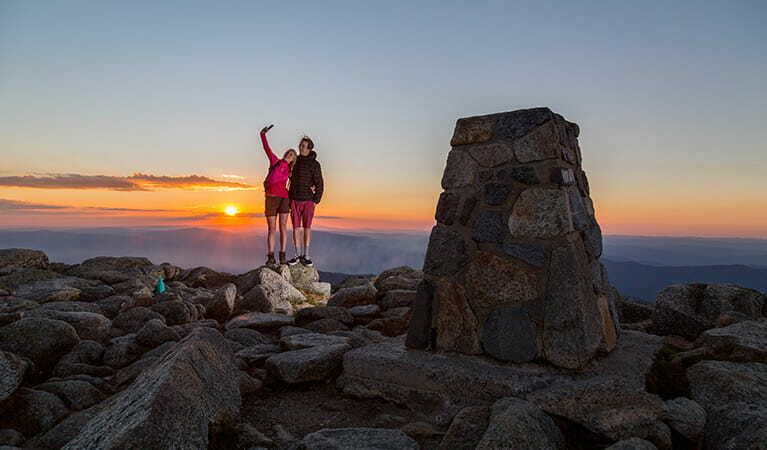 Conquer Mount Kosciuszko, Australia's highest mountain, on the Thredbo to Kosciuszko walk. You can also take the longer Summit trail or Main Range walk. Have your camera ready for mountain panoramas, dazzling summer wildflowers, and the famous Snowy River. Thrill seekers can hit some of Australia's best mountain bike runs, including Thredbo Valley track. 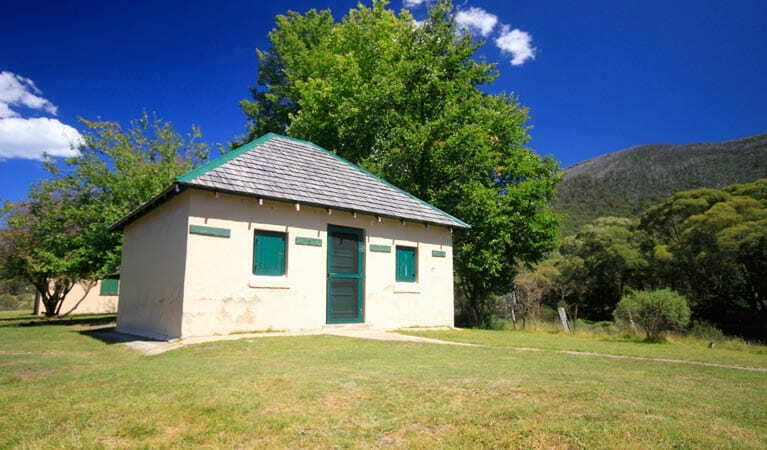 The scenery is also a stunning backdrop for festivals, summer fishing, or even a wedding at historic Bullocks Hut. With year-round alpine activities you'll need several days to make the most of the Snowies. 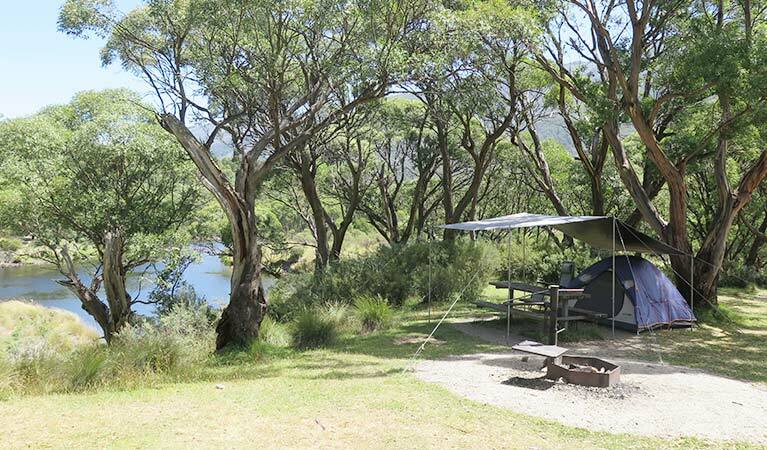 Why not pitch your tent at a riverside campground, or stay at Creel Lodge or Numbananga Lodge. 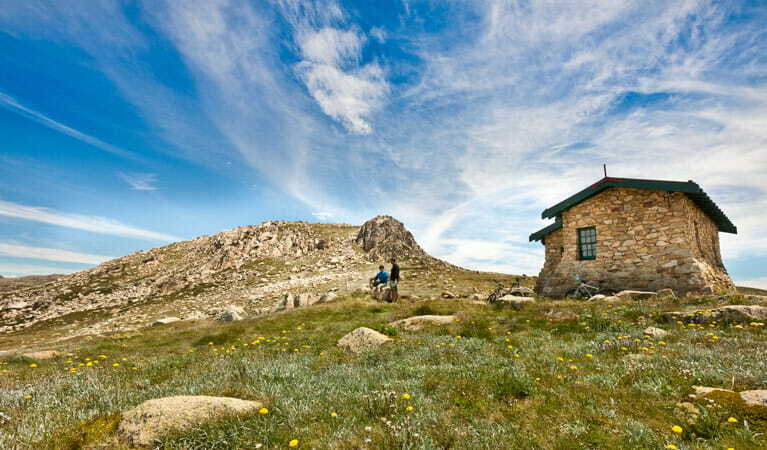 Are you planning a long hike, off-track and overnight adventures, or visiting a remote part of Kosciuszko National Park? We recommend you fill in a trip intention form and carry a personal locator beacon (PLB) for your safety. Find out more about the free trip intention form. The free NSW National Parks app lets you download maps and explore parks, things to do and places to stay—all without mobile reception.